Netherlands, Nepal, Ireland, Hong Kong. All delivered memorable performances in this expanded World T20, the opening round adding exotic new flavours to cricket's rather narrow palate. Hong Kong's defeat of the hosts provided the biggest early upset, while Netherlands' outrageous win over Ireland gave them a place in the record books. As the only Associate to progress, Netherlands further enhanced their status with a one-sided thumping of England. All this without mentioning Afghanistan, considered among the most dangerous second-tier sides. T20 will doubtless encourage more such rabble-rousing. We are quite used to last-over finishes, often when a batsman will club a couple of decisive blows to deliver the expected coup de grace. Alternatively, the bowler will have 15-20 runs to play with and leeway to concede a few boundaries and still come out trumps. Rarely does anyone do what Dale Steyn did against New Zealand. With seven runs to defend, he took two wickets, bowled two dot balls and effected a run-out; the only scoring shot was a four. 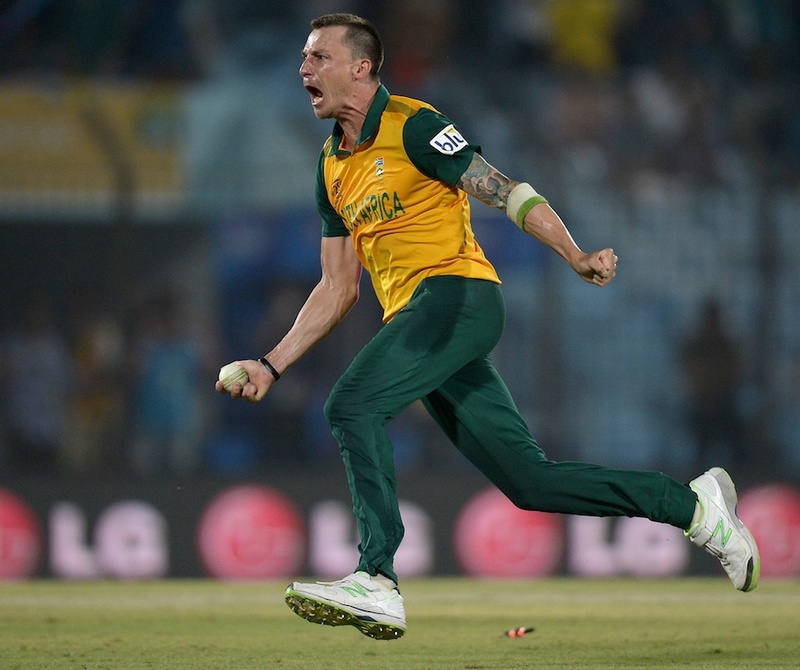 Steyn's performance was the acme but, in Sri Lanka's win over South Africa and Pakistan's against Australia, death bowlers kept their teams alive. As a young captain, Dinesh Chandimal is still learning his way on and off the field. One of the features of his press conferences was a familiar reference to Sri Lanka having "something up our sleeve". What did he mean? Another mystery spinner, a cunning tactical ploy, something fresh from the unorthodox box? Whatever he was referring to, he certainly pulled out a surprise by dropping himself from the semi-final and final. England's World T20 managed to be both better and worse than most expected it would be. That they struggled in the conditions and failed to reach the semi-finals was not much of a shock. Defeat to Netherlands in their final group game then sent them home with solar-red faces. Their winter was an adventure in blunderland but some solace was to be found in beating Sri Lanka, thanks to Alex Hales' dazzling hundred - the first in T20s by an England batsman. Hales was ranked No. 1 in the format until recently but still qualified for description as "an unknown England player" in one Indian newspaper ahead of the IPL auction. A flurry of cuts, pulls and slogs on the global stage to help England to their highest successful chase should mean he is easily identifiable from now on. Numbers have a powerful hold on cricket's psyche but in these days of data-driven decision making their influence can become overbearing. In their TV coverage, Star Sports would flash up statistics such as "Pakistan win 100% of games when Ahmed Shehzad scores more than 40" (something he has done six times), while Faf du Plessis' repeated mantra when asked why AB de Villiers didn't bat at No. 3 was that the stats suggested he played best coming in after ten overs. During the warm-up games, meanwhile, Eoin Morgan claimed that "82% of games are won by the side who hit the most fours". We are in danger of getting into "60% of the time it works all the time" territory here. Imagine a T20 tournament where one of the finalists didn't hit a six. It happened in Bangladesh. Even though the boundary ropes come in by a few yards for women's games, England went through the entire Women's World T20 without clearing them once. Speaking before the final, Charlotte Edwards said power hitting may be something the team works on when they become full-time professionals but, for now, their lissom, dexterous strokeplay remains a joy to behold. Although, a couple of maximums might have helped against Australia. The tactic of opening with a spinner hasn't been fresh since Dipak Patel did it regularly for New Zealand at the 1992 World Cup but it can still be effective, as shown by Samuel Badree's stellar tournament. Picking a non-specialist to do it is T20's innovation on the subject, but just because this seems a bit out-of-the-box doesn't mean it is always a good idea. England stuck rigidly to giving Moeen Ali the first over, with progressively worse returns, while JP Duminy's effort in the semi-final between South Africa and India got the opposition off to a flier. New strategies are in order. R Ashwin took the carrom ball to another level in this tournament. The delivery that spun like a legbreak past Hashim Amla's attempted flick in the semi-final may or may not be the Carrom Ball of the Century, but Ashwin tossed it up and regularly turned it big from outside leg stump, and bowled some pretty capable batsmen such as Glenn Maxwell and Faf du Plessis. They may not have defended the title they won in Colombo but Darren Sammy's men won over the Mirpur crowd with their spontaneous, vigorous celebrations targeted at the Australians. James Faulkner's comments leading into the game had sparked plenty of needle, and West Indies dearly wanted to come out on top in this one. And when they did in a tense chase, there was no holding back, Chris Gayle leading a rather aggressive version of the Gangnam and whatever he could think of at that moment. Gayle brought out a more muted Gangnam when West Indies beat Pakistan to make the semi-finals, Sammy putting that down to the friendliness between the two sides. The Sylhetis came out in their thousands to watch the women's games, but the residents of the capital of the country, with arguably the most wildly passionate following for cricket, could not summon enough interest to watch the women play their knockouts hours ahead of the men. Near-empty stands greeted England, Australia, West Indies and South Africa in their semi-finals. About a couple of hundred more turned up for the final between the Ashes rivals. The wind roared, sending a cloud of dust into the stadium during the semi-final between Sri Lanka and West Indies. Then the roof started to clatter. Sammy would later say it felt as if someone was throwing stones. It was instead raining hailstones almost the size of golf balls. Brave were the groundsmen who took a serious pounding in the middle while placing the covers on the square, even as the outfield turned white around them. When you hear it for the first time, you feel you haven't got it right. The scorer in the Mirpur press box announces, "So-and-so 50 runs, three boundary, two over-boundary." You then find out that a six is referred to as over-boundary by scorers in Bangladesh, in contrast to a four, which is called a boundary. It is confusing at first, but one of the quirky things you soon warm up to. Just how much Bangladesh loves its cricket was demonstrated by the hundreds that sat wherever space was available to put up giant screens that showed the evening's games live. Not only those sitting in front of the screens, even people stuck in the traffic nearby craned their necks to catch a glimpse of the action. Which is what I and my CNG autorickshaw driver did one evening. But then another CNG came and blocked our view, much to our irritation and the amusement of the lady passenger sitting in it. Once he noticed, though, the other CNG driver was gracious enough to take his vehicle forward by a few feet, so that our view was clear again. Sums up Bangladeshis' love for the game. When Ireland went off the Sylhet ground after making 189 in 20 overs, nobody thought that Netherlands would - leave alone could - make a dash for the target and the Super 10s, leaving Ireland and Zimbabwe behind. But they did exactly that, with Stephan Myburgh and Tom Cooper slamming 13 of the 19 sixes hit during 13.5 overs. It was improbable, but the sixes kept coming and by the time the assault ended, the ball was lost. The Nepal captain made important runs, opened the bowling and hared around to grab half-chances, leaving everyone impressed mightily. There was not one person who could have not noticed Paras Khadka in the middle as Nepal came out on to the big stage for the first time. New teams bank heavily on their leader and Khadka is the perfect ambassador for his nation. There were power failures once in Sylhet and on three days in Chittagong, including the first day of warm-up matches. After the second instance, a BCB director said it as a local connection problem but when it happened for a third time, there was no explanation; power disruptions are commonplace in Bangladesh, reason enough for the BCB to be ready for such problems. The new stadium in Sylhet is Bangladesh's eighth international cricket venue, and it was given the most matches this World T20. Sylhet hosted 30, including 24 (out of 27) of the women's draw (while Mirpur and Chittagong hosted 17 and 15 respectively). And the locals turned up for every single game, be it a men's first-round match or a women's play-off. The ICC was pleasantly surprised by the turnouts, while the ground itself is stunning with a green, terraced hill the added attraction. 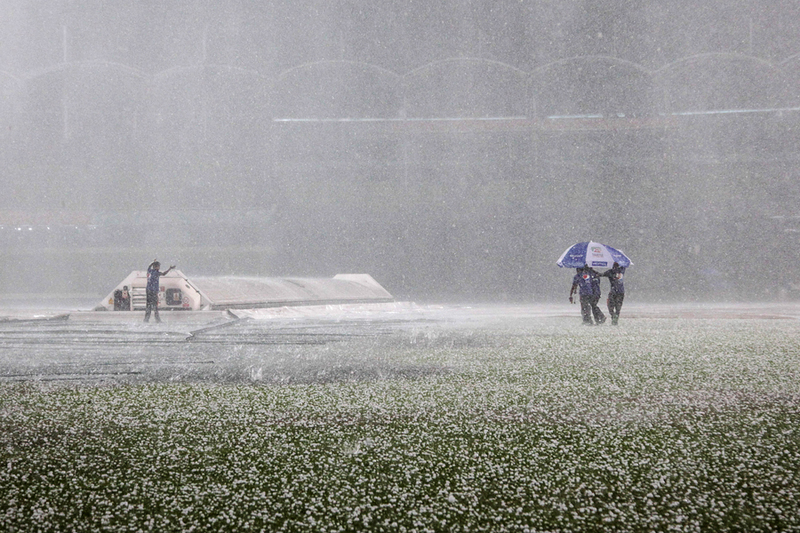 England tried to train with wet balls, the ICC head curator brought in anti-drew sprays from India, but whenever it was clear during the day in Chittagong none of it helped much with the amount of moisture on the outfield in the evening. The ball largely stopped turning at the venue and was changed frequently during matches. None of the teams could say they mastered the dew and confirmation came from Stuart Broad who claimed it is impossible to bowl with a "bar of soap", despite training with wet balls. The Bangladesh opener continued to do poorly in World T20s, having never aggregated more than 83 runs in five tournaments. This was a particularly bitter campaign for Tamim, with him having been embroiled in a vice-captain controversy four weeks earlier. He did take two catches against West Indies, though, both worthy of competing for catch of the tournament. They fell out as team-mates in the 2007-08 Dhaka Premier League but none could have imagined the pair meeting once again at the world stage. But there was Hong Kong's Munir hammering 15 off Bangladesh's Farhad's crucial over, reducing the target to a manageable 11 off 18 balls. The over cost Farhad the ire of his captain, coach, board president and of course, the fans.